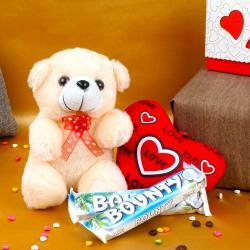 Product Consists : Couple Teddy Bear (Approx Size : 4 Inches) with 2 Bars of Toblerone Chocolates (Weight : 50 Gms Each) along with Love Greeting Card. 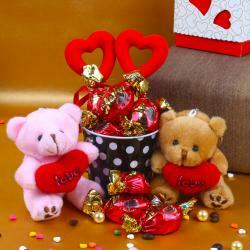 Make your loved ones happy on Valentines Day by delighting them with impeccable gifts. This hamper includes Toblerone chocolate is the best ever chocolate. The Toblerone chocolate is very crunchy and lovely to eat. 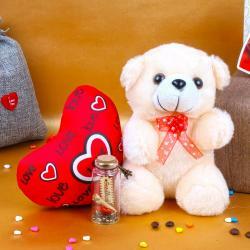 Love is best expressed through a romantic gift of Giftacrossindia. 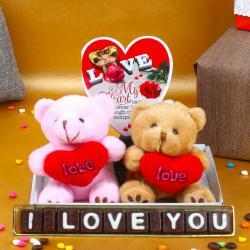 Show your beloved that you two are made for each other with chocolates and two lovable teddies. These cute little fellows sit happily together which are symbol of your lovable life. To add extra romance we have added one love greeting card. So , go ahead and buy this gift now. 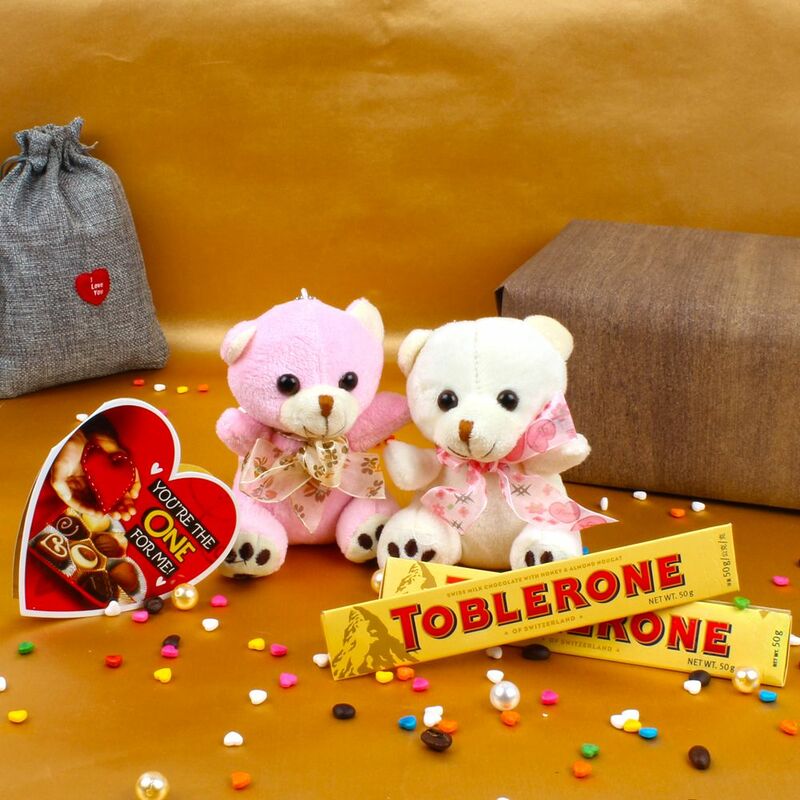 Product Includes: Couple Teddy Bear (Approx Size : 4 Inches) with 2 Bars of Toblerone Chocolates (Weight : 50 Gms Each) along with Love Greeting Card.